When it comes to new gadgets and gizmos, 2017’s been a pretty epic year. We’ve seen a surge of new voice-activated assistants, rise of remastered retro tech, and all kinds of quirky smart devices in between. 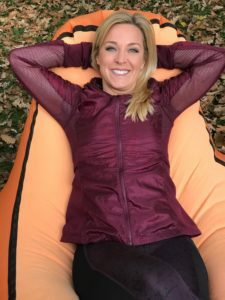 Rather than rehash what’s appearing on my colleagues top lists—most of which would make my top picks too—here’s my list with a twist: The new tech from the past year I’m not sure how I lived without. It’s the little stuff that’s come along by way of a specific problem to solve, quirky Today Show segment to fill, or just out of sheer curiosity. I present to you the Tubshroom. It is an absolutely brilliant way to keep hair and other gunk from clogging your drain. It is so simple and totally inexpensive ($12.99). But it solves a yucky problem. 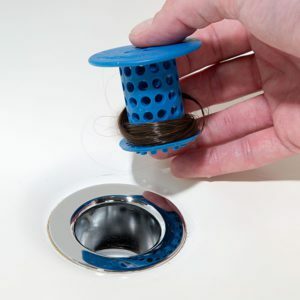 Just replace the drain with this one and you are done fishing hair from the drain forever. 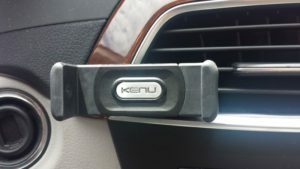 I also love this little the Kenu Airframe+ ($25.99) smartphone car mount. Are you still throwing your phone on the seat or — heaven forbid — holding it in one hand while you drive? Put this in the dash, snap your phone into it. Done. See? Hands free. Much safer. I got hooked on eBikes ($1,888) this past year, too. They are a fun way to get around and stay in shape. Yes, they assist you. But that just means I ride my bike even when there is a huge hill, which is pretty much everywhere in the San Francisco Bay Area. Plus, I get more exercise and even spend less on gas. eSpin is my favorite so far. It has the price point, battery life, and just plain get up and go fun that makes it a no brainer. But don’t forget the helmet! 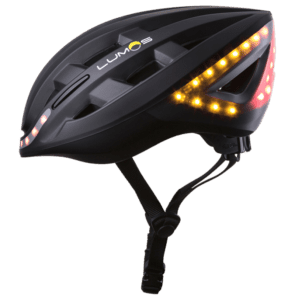 I — seriously — – do not know how I ever lived without this Lumos smart helmet ($199.99). It has lights on it that signal when I’m braking or turning. Where has that been my whole life? Same goes for this Trono inflatable chair ($69). It weighs 1.7 pounds and, true to the claims, it actually inflates in like 10-seconds. I take it everywhere. To the beach, camping, to my daughter’s cross-country and track events. I always have a place to park it and chill. This is the year to dive into virtual reality, and I keep finding new reasons to love the Playstation VR ($399.99). It’s still one of the most accessible, affordable and user-friendly full VR options on the market today — without the need to spend a small fortune on new hardware and accessories. The PS4 headset is super comfy to wear and drop-dead simple to plug in and just play. It’s also not going to be outdated anytime soon, because there are more than 100 games out now, and tons more on the way in the very near future. This is an, for me, an easy top choice. This was also a big year for Cyber Security snafus and one of my top picks deals a serious blow to cyber criminals. 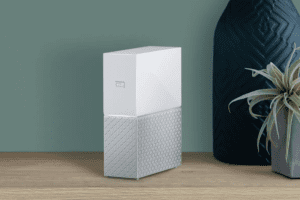 It’s the Norton Core Router ($279.99). We loved it at CES 2017, and I love it in my house now. 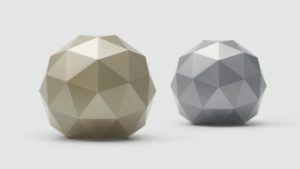 It looks like a futuristic disco-ball, but it’s really a crazy fast, super-secure Wi-Fi router. It protects the data in your house, including all of your smart home gadgets such as baby monitors, security cameras, voice-activated assistants, smart locks — all the latest targets for hackers. It even has great parental control features built-in so you make sure your kids aren’t visiting dangerous places online and that they have distraction-free homework time too. The other crazy-important gadget I don’t know how I lived without is the the WD My Cloud Home personal cloud storage device. I have the 6TB one ($259.99). It gives me and my family an easy way to organize and manage all of our music, movies, documents, photos — everything from all our devices in one central place. And, we can access those files from anywhere with an internet connection. You can even create individual accounts for friends and family so they can have their own private space that only they have access to and nobody has to worrying about any monthly storage fees. Another small, but mighty fix for our digital hoarding habits is the SanDisk iXpand Base (starts at 49.99). You charge your phone every night anyway, right? Why not back it up at the same time so you don’t lose your photos, videos and contacts if you lose your phone? What I really like about this is that you don’t have to do anything different — no learning new tech or changing daily habits. Just use your lightning connector, plug your phone into the base, set it on your nightstand or desk and let it automatically back up while it charges. 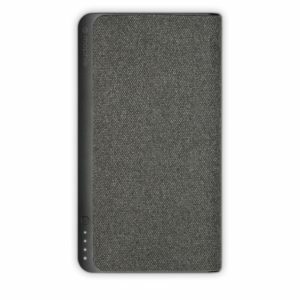 I also rely on the Mophie Powerstation USB-C XXL ($149.95) to keep my laptop, tablets, and smartphone charged always and in all ways. Saves my life. And, when I’m out in the wilderness and can’t plug in? The waterproof Solar charger by Outxe ($36.99) keeps me connected on the go. 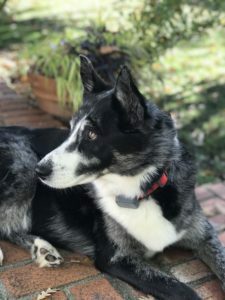 For pets and those of us who love them, the Whistle 3 ($49.95 + subscription) all-in-one pet gps tracker and activity monitor is totally p-awesome (sorry…). It attaches to your dog’s collar and sends a notification to an app on your phone if your pooch leaves a customized safe zone. I love being able to see what Suli’s up to all day, whether it’s out on a planned walk or just to figure out where she roams when I’m not around. 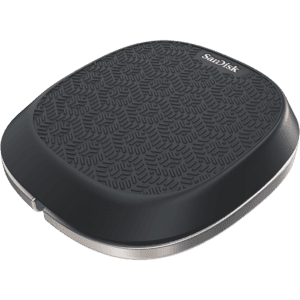 This Blackboard by Boogie Board ($45) is another great tool I never would have found had it not been for this job of testing gadgets. It’s somewhere between a notepad and a white board, and works great to keep my my entire family’s schedule straight all year long. You write on it with an inkless pen and paperless paper. Erase. Do it again. Week after week. It is much better than all these (calendars) and not-so-white boards! 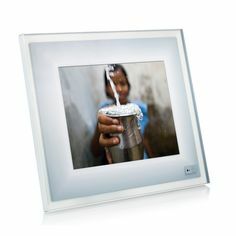 A lot of digital photo frames come and go every year, but the Aura smart photo frame ($299) is the best I’ve ever run across. With gesture control, mood lighting, and the ability to display your favorite photos in a beautiful way, uploaded right from a smartphone. Aura automatically creates photo collections of the people who you take pictures of most often, edits out blurry or bad photos, and has unlimited storage. This is the best gift for grandparents too! I’ve always had trouble sleeping, and really have to make an effort to wind down at night. This new iHome Zenergy Aroma Bluetooth Therapy Speaker with Lighting ($99.99) takes good care of me. 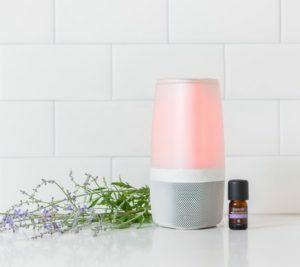 It looks like a candle, but it has lovely built-in aromatherapy and white-noise sleep treatment. Is uses light, sound and scents to chill me right out, no actual flames, water, or mess. To stay asleep, the Smart Nora ($299) anti-snoring device is an absolute necessity. It’s a little Bluetooth-enabled, egg-shaped device that sits on a nightstand, with a little pad that goes into my husband’s pillow. When he starts sawing logs — it gently rocks his pillow to shift his position. It’s great. We sleep like baby’s. The hardest part of having this job is editing these lists down. I love the Sonos One speaker, all the latest Roku, Amazon Echo and Google Home devices. And the latest Tesla! I’m sure I’ve left some other favorites out too. There’s always next year.